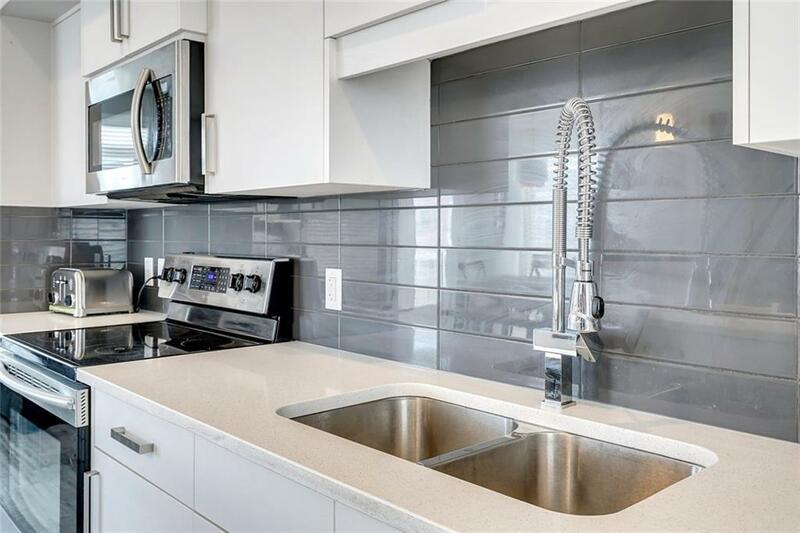 Welcome home to this sleek and stylish, end unit in the highly desirable Eighty5Nine complex. 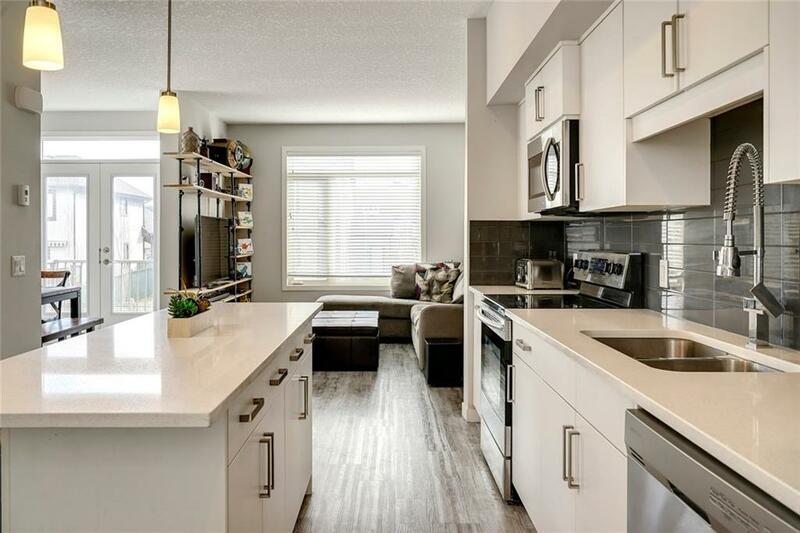 This immaculate 3 storey townhome has all the upgrades a person could ask for and is within immediate walking distance of all conceivable amenities. Youll be immediately impressed by the neutral colors and vinyl plank floors when stepping into the large entrance from the single attached garage. 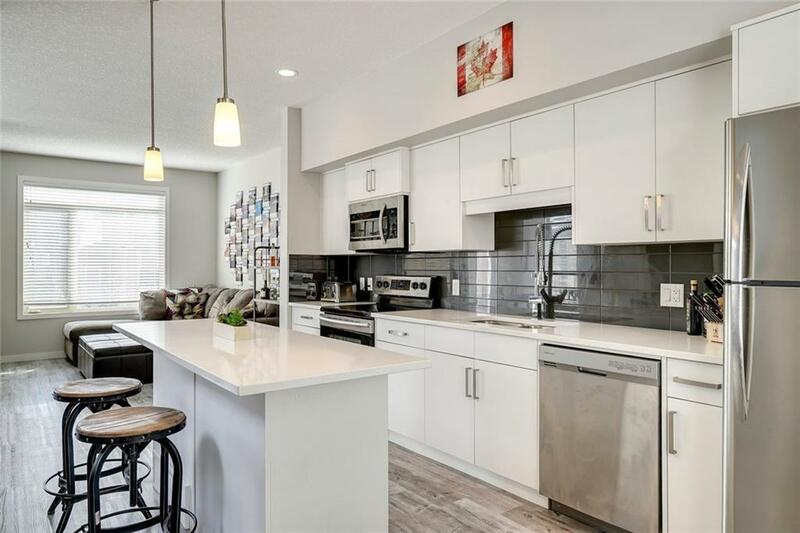 The gorgeous second floor features a trendy white kitchen with full height cabinets, stone countertops and SS appliances, full sized dining area and comfortable living space, all feeling open and airy thanks to the high ceilings and three exterior walls with large windows. Upstairs are two generously sized bedrooms, one with full 3pc ensuite, an additional 4pc bathroom and den, perfect for a home office or treadmill. This unit is perfectly tucked away from the busyness, but is literally steps to all the shopping located along 85th Street. 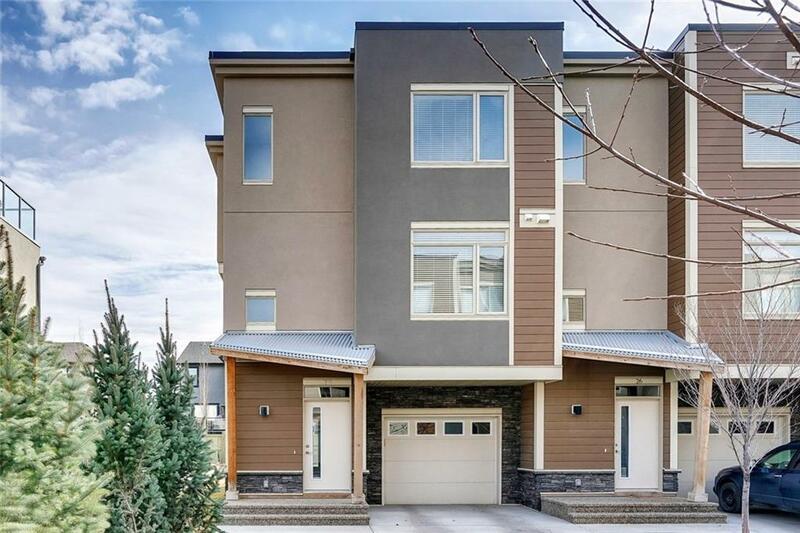 Great access to downtown Calgary and west to the Rocky Mountains. Call today!